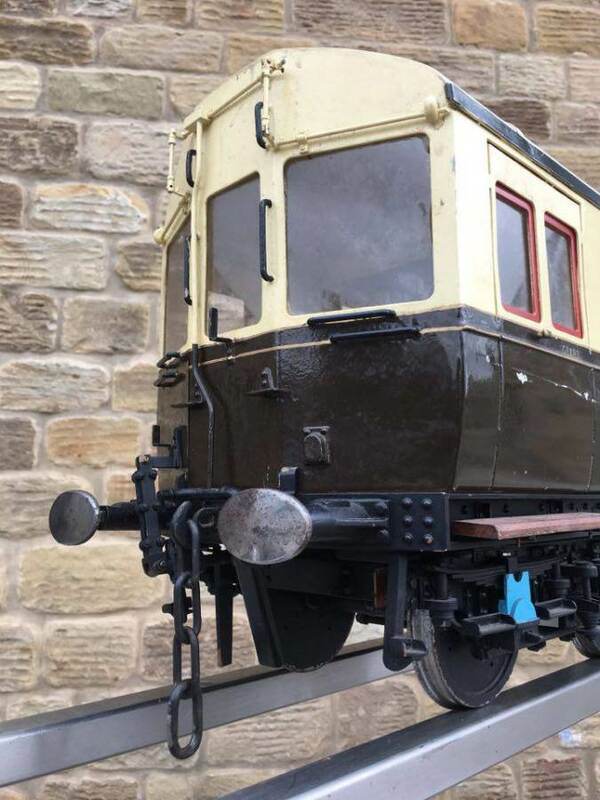 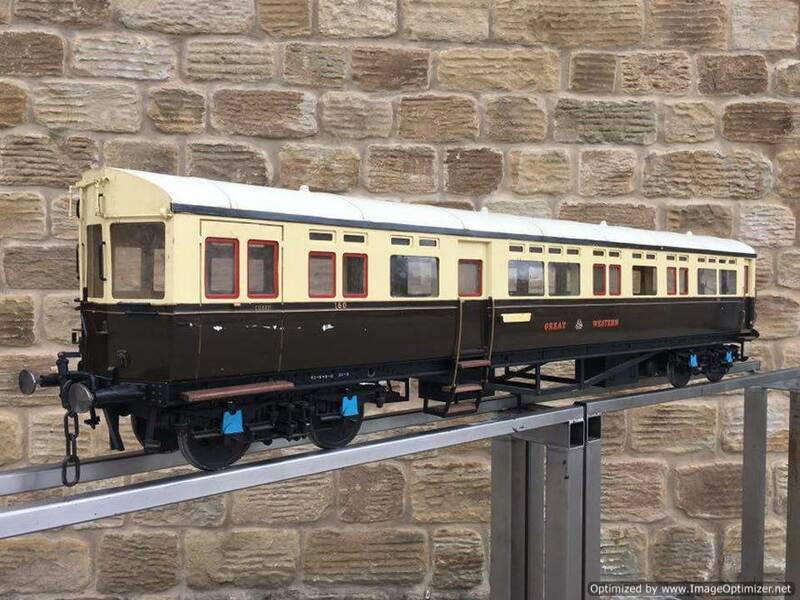 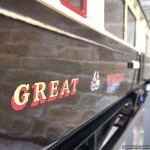 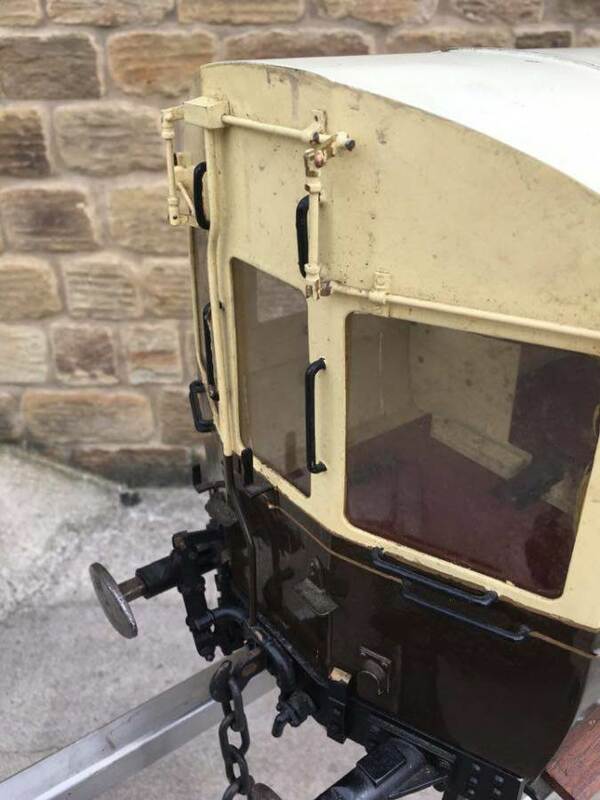 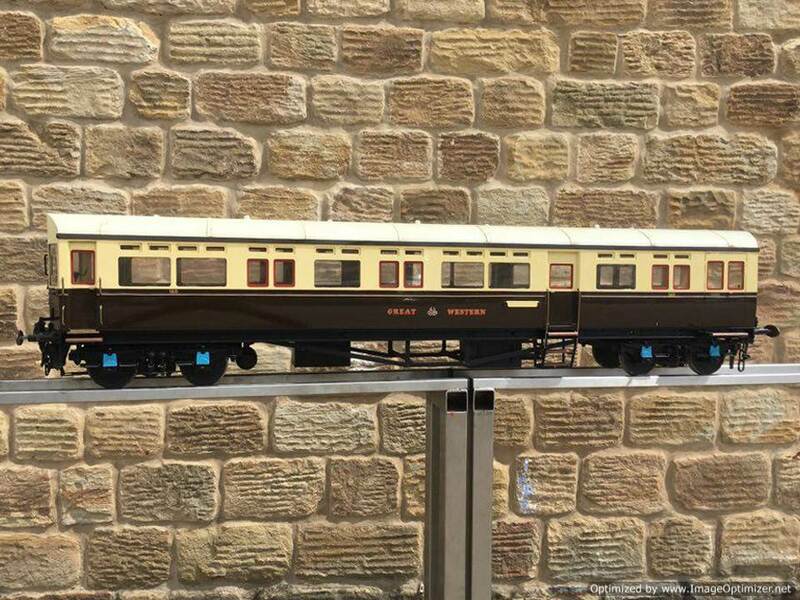 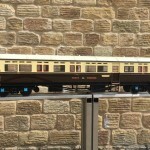 Here we have a particularly nicely detailed 5″ gauge GWR Autocoach. 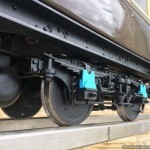 Based upon the kit produced by Modelworks, this one has had the wheelsets ‘tweaked’ (as the kit required) so that the back to backs were correct for ground level running and points. 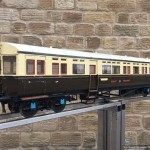 The body and roof are laser cut from steel, and thick steel sheet at that, so this is a model of some substance. 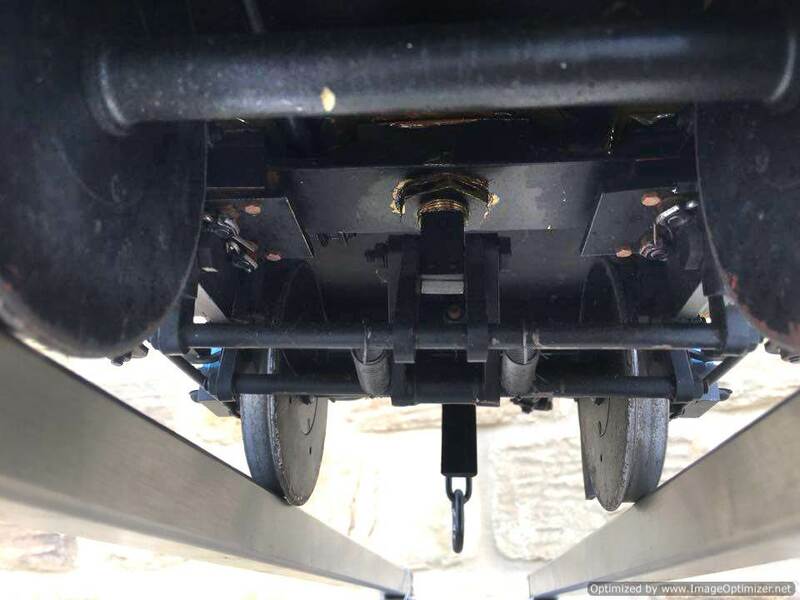 You can easily load the roof with heavy adults, and it is a weighty two man lift. 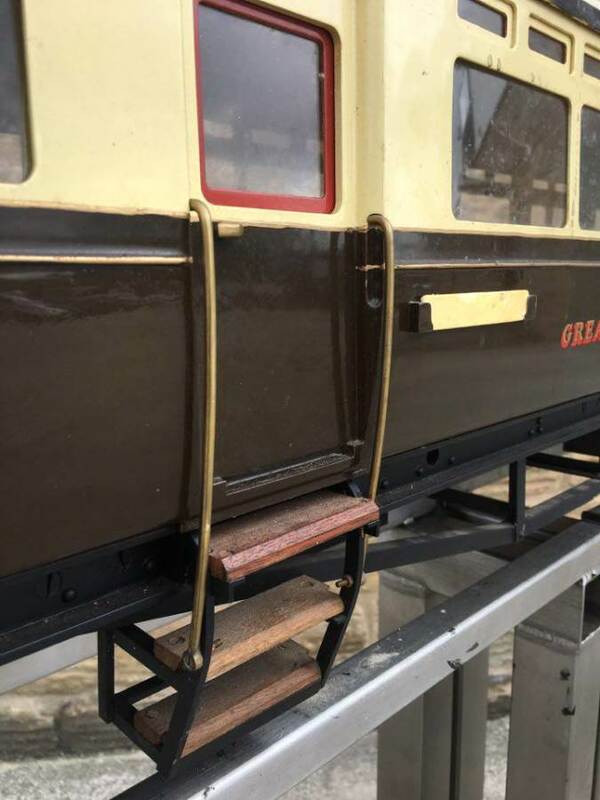 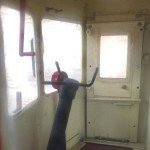 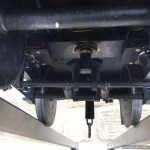 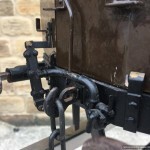 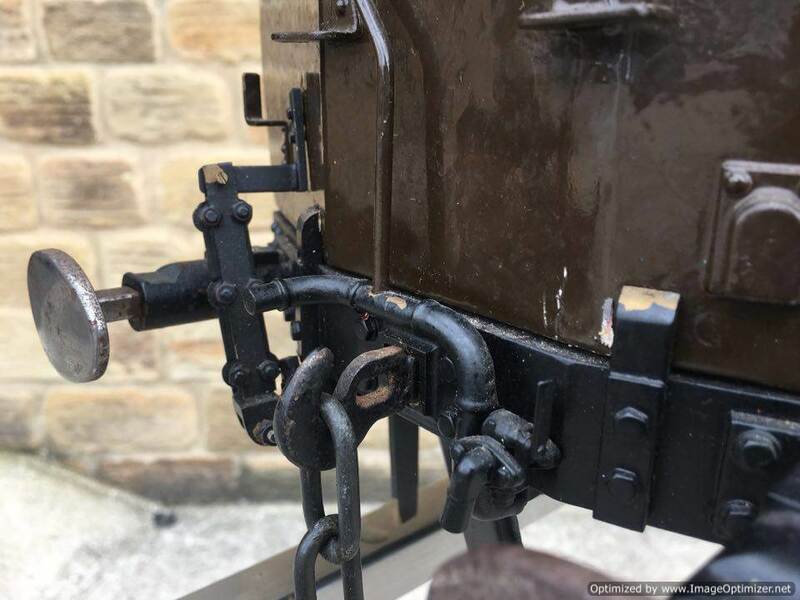 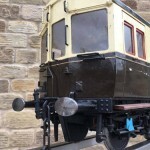 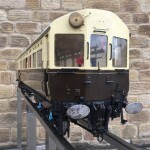 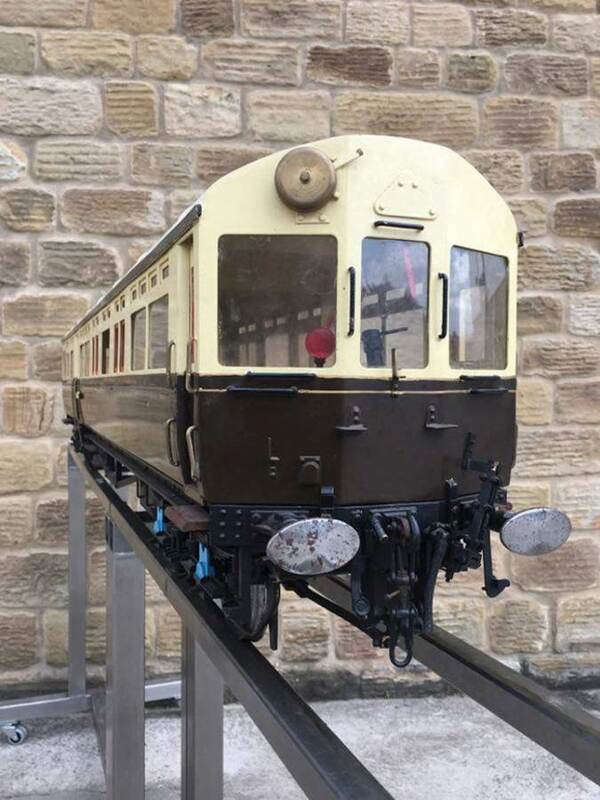 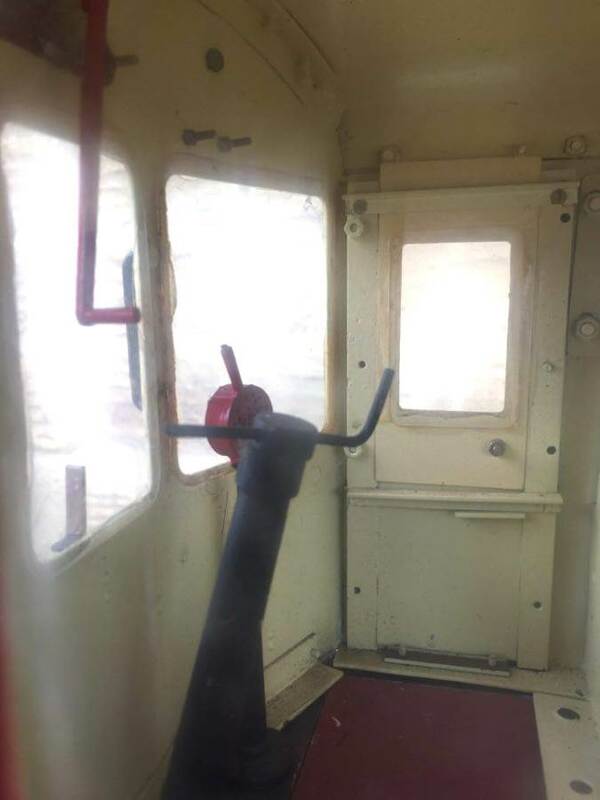 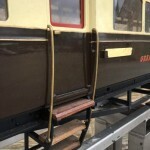 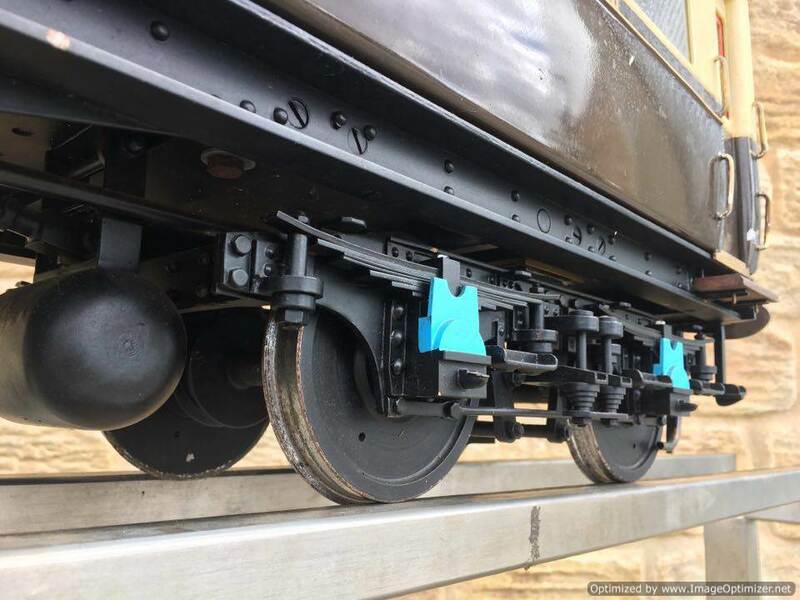 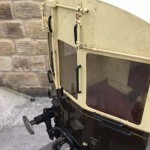 The bogies are both braked, and there is a shaft protruding through the frame where a lever can be attached to actuate them. 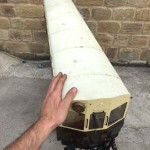 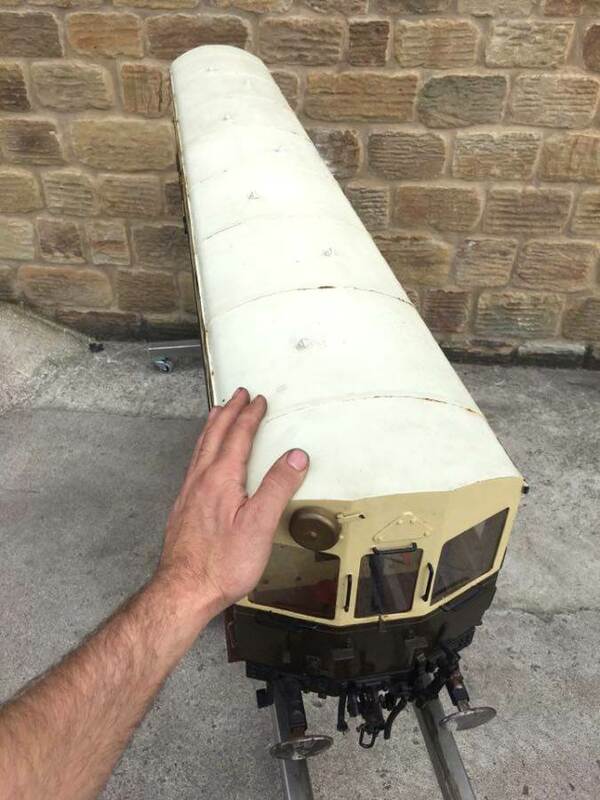 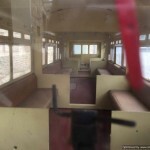 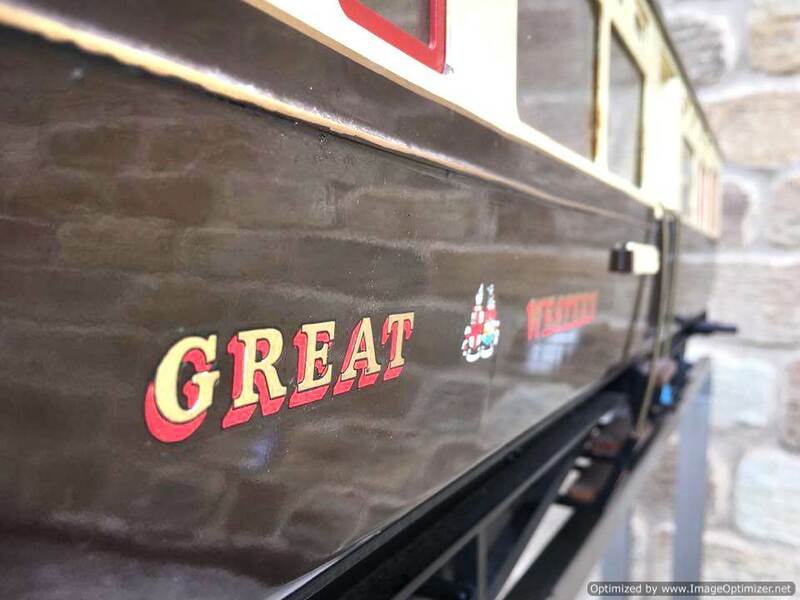 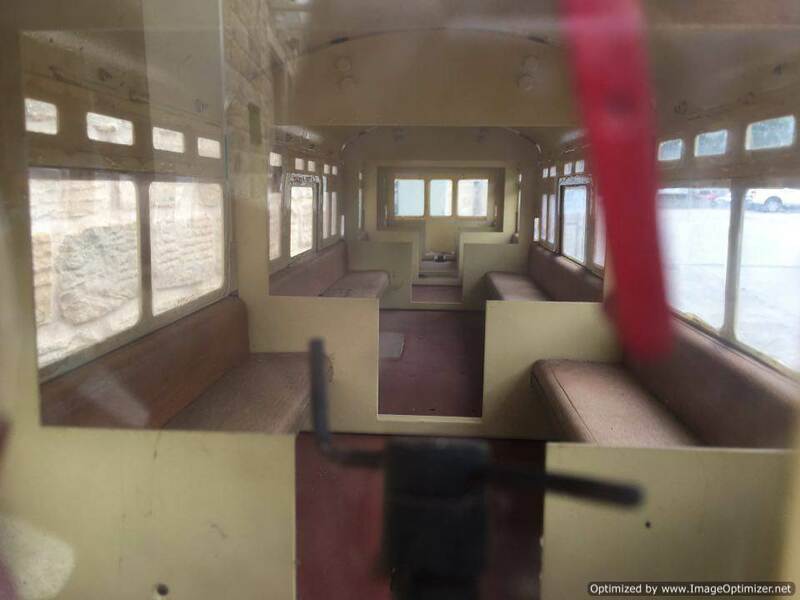 Loads of extra scratch built detailing on her, as you can see from the photos, so the overall result is, we think pretty impressive and certainly a cut above your average Modelworks Autocoach!